The team at Capitol Dental are a lovely bunch. 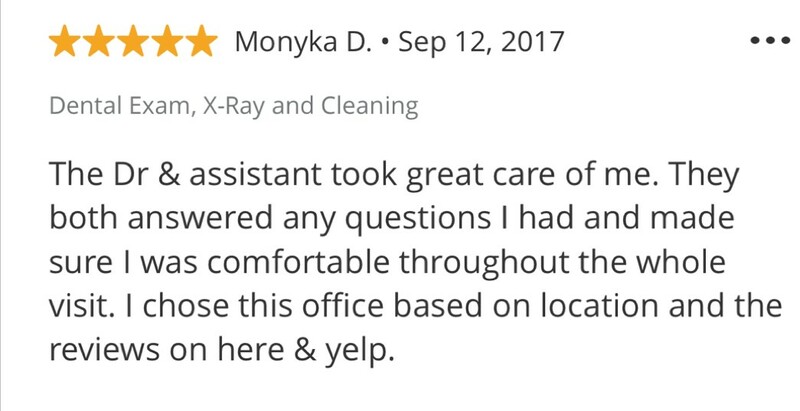 I couldn't have wished for better service. This is a place where patients definitely come first. I was reluctant to step into a dental office due to several traumatic experiences as a child. However, due to the immense pain I was in I had no choice. I called several places before making my choice. I must stay I am more than happy that I came across Terry and Dr. Nagesh. They are awesome!! During my initial visit they made sure to keep me apprised of each step and check my comfort level. They then squeezed me into an emergency appointment when I called in agony. This dynamic duo made sure I stayed comfortable and even pep talked me the entire time. 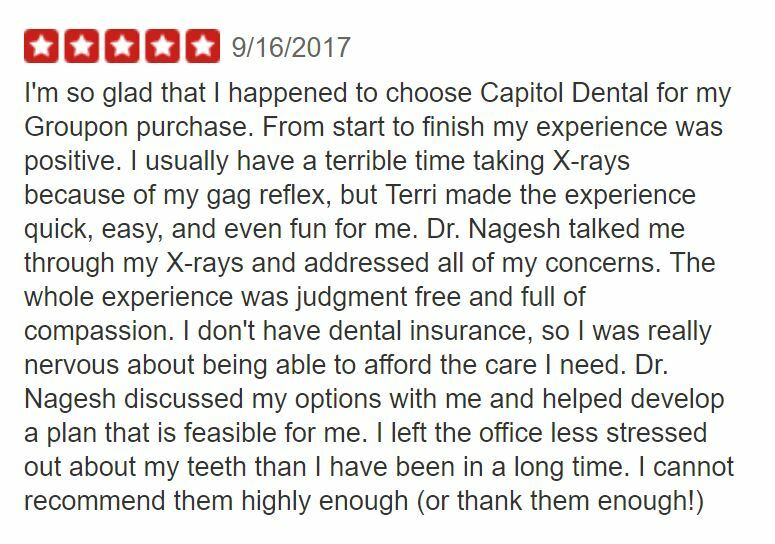 I am so pleased with Capitol Dental and would highly recommend their services to anyone who is in need. They are very kind, caring, attentive, oh and hilarious. Thank you so much for everything!! Will see you soon and am actually excited about it.